“Welcome one and all. 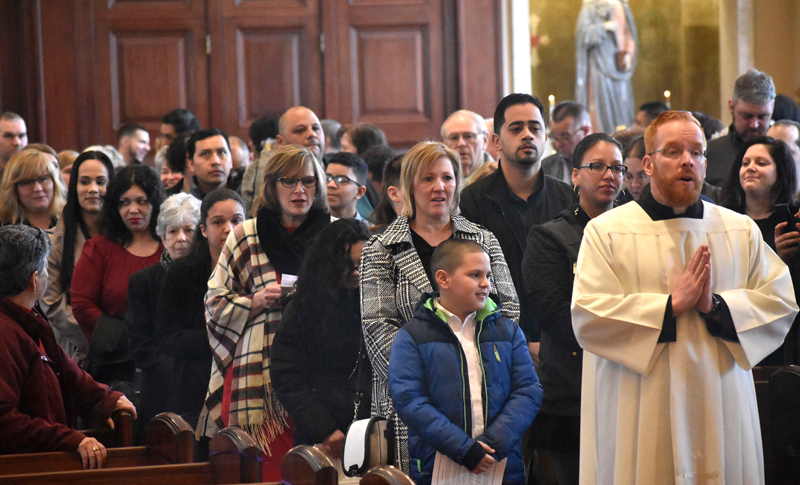 Welcome all who are making the decision in their lives to say before the Catholic Church that you wish to join us and a 2,000-year history of the Church founded by Christ,” said Bishop of Allentown Alfred Schlert March 10 during the Rite of Election. 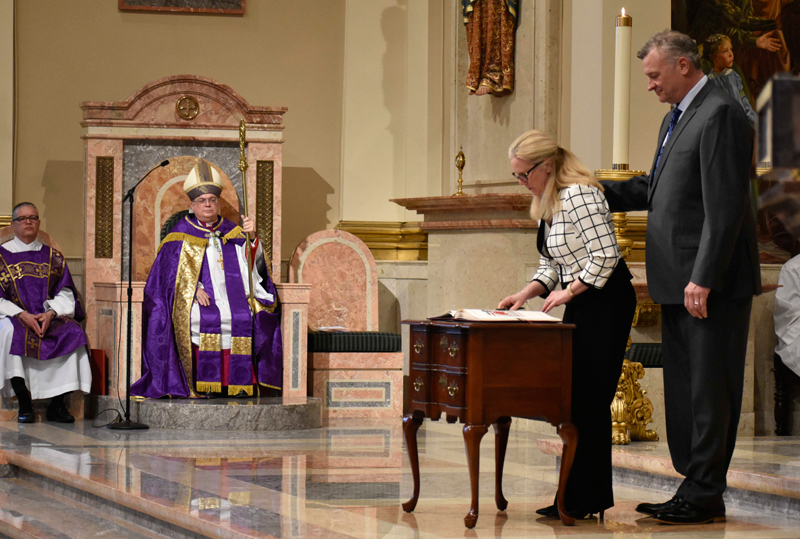 Bishop Schlert presided at the Rite of Election and at the Cathedral of St. Catharine of Siena, Allentown. 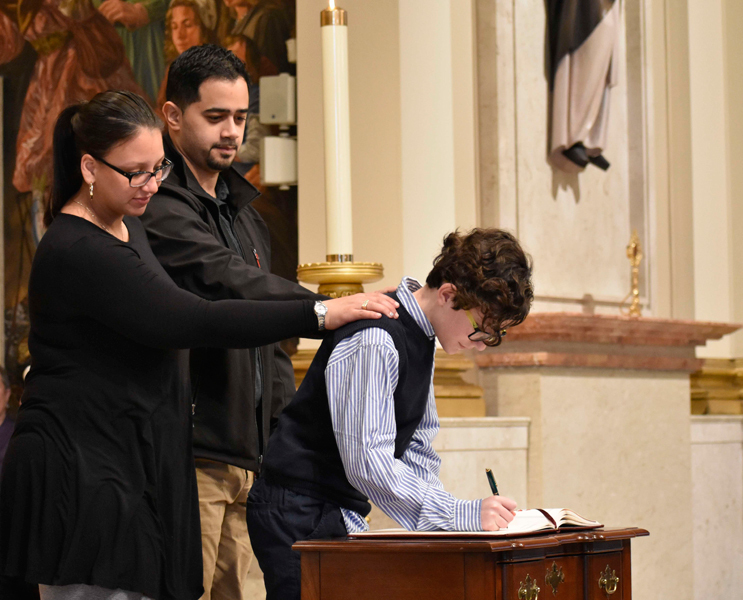 The afternoon ceremony, celebrated in English and Spanish, formally acknowledged the readiness of 80 catechumens – those preparing for the sacraments of initiation (baptism, confirmation and Eucharist) – to seek full communion with the Catholic Church. 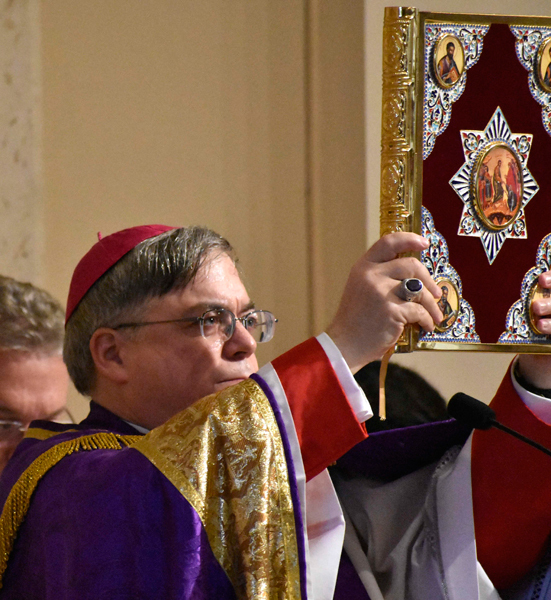 The Rite of Election, which is celebrated annually on the first Sunday of Lent, marks the beginning of the final phase of preparation for those participating in the Rite of Christian Initiation of Adults (RCIA). The Call to Continuing Conversion is celebrated in individual parishes. This ceremony is for candidates who have been baptized in other Christian traditions who now seek to become members of the Catholic Church, or baptized Catholics who had no instruction in the faith and are now preparing for Confirmation and Eucharist. 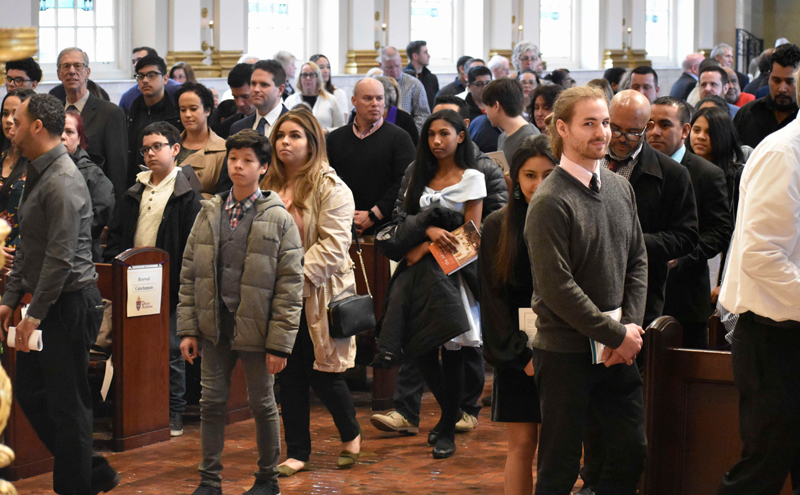 In his homily, Bishop Schlert told the catechumens their journey toward becoming full members of the Catholic Church will assure them of the most important way to salvation through the sacraments and Scriptures. “The Church has been handed down to us by Christ himself. Join us with confidence and know you are uniting yourself to Christ and his one true Church,” he said. Bishop Schlert reminded the faithful and the catechumens that like the Lord, who was called to the Holy Spirit in the desert, they too are especially called to the Holy Spirit during Lent. “My dear elect, you have been led by the Holy Spirit to be with us, and we are so grateful,” he said. 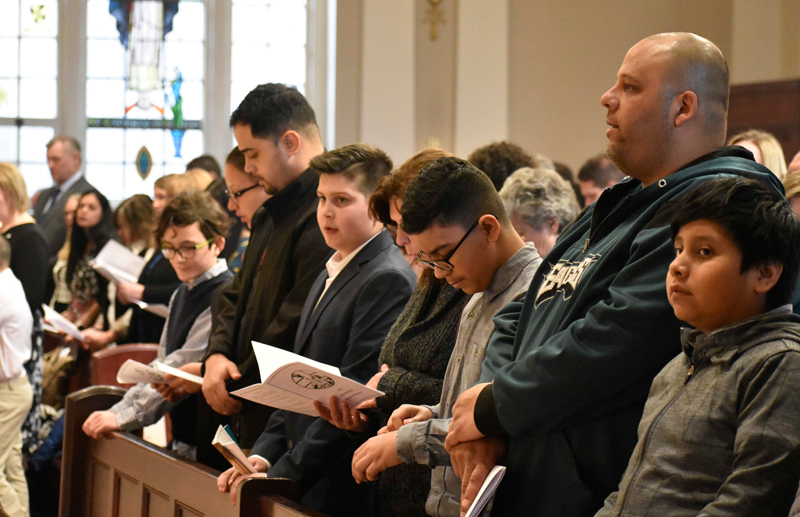 He also invited the catechumens to participate in prayer, fasting and almsgiving to become attuned to God’s will and to better prepare themselves for the sacrament at the Easter Vigil. As they prepare for the Easter Vigil, Bishop Schlert warned them that Satan will try to tempt them. “He will seek to put obstacles in your way. He will seek to enter your life for distraction and temptation. He did it to our Lord and he does it to us. When we seek to be most holy is when Satan is at our doorstep,” he said. Encouraging them to pray to be strong, Bishop Schlert advised them to use the prayer of St. Michael and to know that the Blessed Mother is with them. “She will be your protection,” he said. “And at the Easter Vigil, we will invite you to our altar to receive the body, blood and soul of Jesus. Because God sends his son to us to love him and to be nourished by him,” said Bishop Schlert. Catechumen James Slaska decided to embark on the journey to be nourished by Christ because of his desire to belong to the Church like his wife of 25 years, Maria, and their three sons. After regularly attending weekly Mass with them at St. Thomas More, Allentown, he felt it was time to commit himself. “I’ve been attending church weekly and felt it was time to really commit to the Church and reached out to be enrolled for the Rite of Election,” he said. “Attending weekly Mass with my family brings us closer both with my wife and children,” said Slaska. He also hopes to better understand Catholicism and his obligation to the Church during the Lenten season. “Being active with my local community, it seems like a natural fit to be part of the St. Thomas More Parish,” said Slaska. 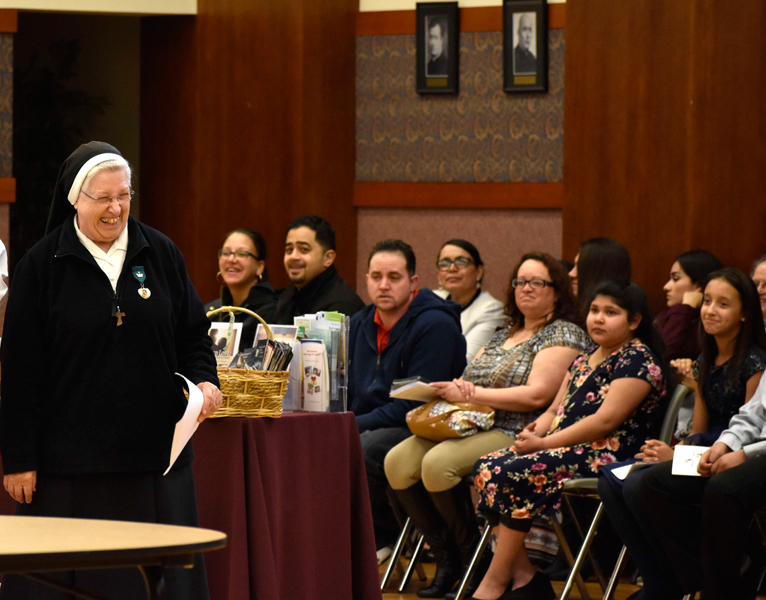 Sister Martha Zammatore, liaison for the Diocesan Office of Prison Ministry, welcomes catechumens to the Cathedral of St. Catharine of Siena, Allentown. Father Mark Searles, director of the Office for Vocation Promotions, leads catechumens and sponsors during the processional at the cathedral. Catechumens and sponsors take their seats for the Rite of Election. Bishop of Allentown Alfred Schlert raises the Book of Gospel to bless catechumens, sponsors and the faithful. Catechumens join together in prayer during the Rite of Election. Nolbert Gomez signs the Book of Elect, signifying his commitment and discipleship, with his sponsors, Yariel Delgado and Kristin Delgado, parishioners of Holy Infancy, Bethlehem. 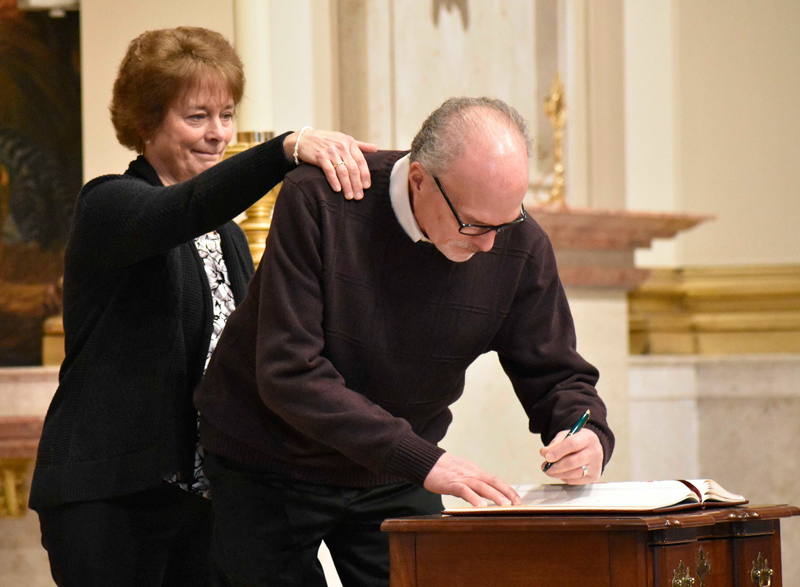 Jeff Gerstenblith, enrolls his name in the Book of Elect with the support of his sponsor, Joan McGorvey, parishioner of Our Lady of Mercy, Easton. 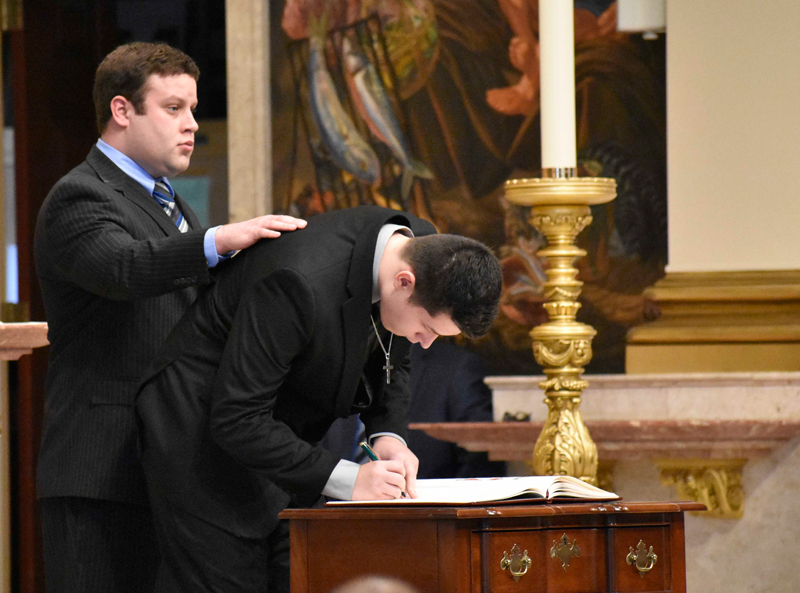 Ryan Leskoven signs the Book of Elect with guidance from his sponsor, Patrick Smith, parishioner of All Saints, McAdoo. 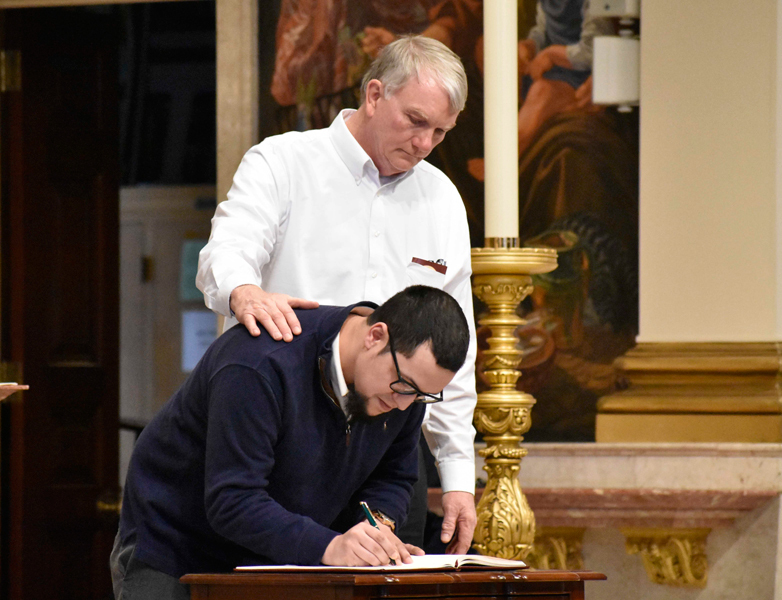 Deacon Robert Snyder, assigned to Cathedral of St. Catharine of Siena, watches Rafael Miranda sign the Book of Elect. Debbie Nowotarski signs the book with sponsor Michael Nowotarski, parishioner of St. Benedict, Mohton. Witnessing the act are Deacon Isidro Rivera-Gonzalez, associate director for Hispanic Outreach for the Office of the Permanent Diaconate, left, and Bishop Schlert.